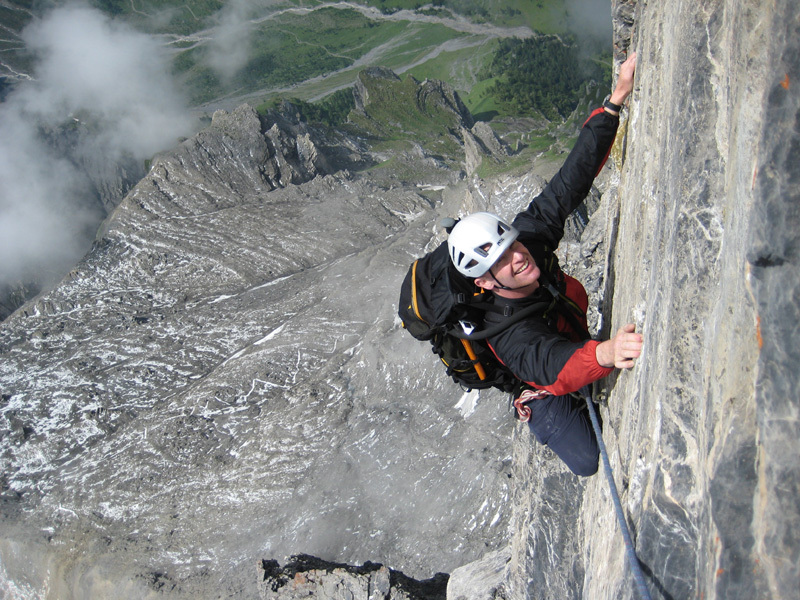 Whilst Chamonix is the capital of world mountaineering, you do not need to be a great climber to enjoy its vast mountain attractions. 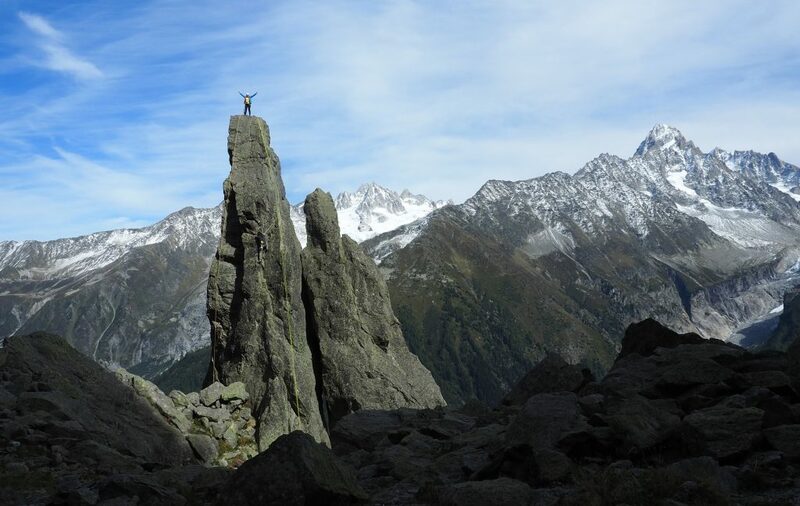 On the contrary, one of Chamonix’s real assets is that it has peaks and climbs suitable for all levels of challenge and for every step along the path to Becoming an Alpinist. 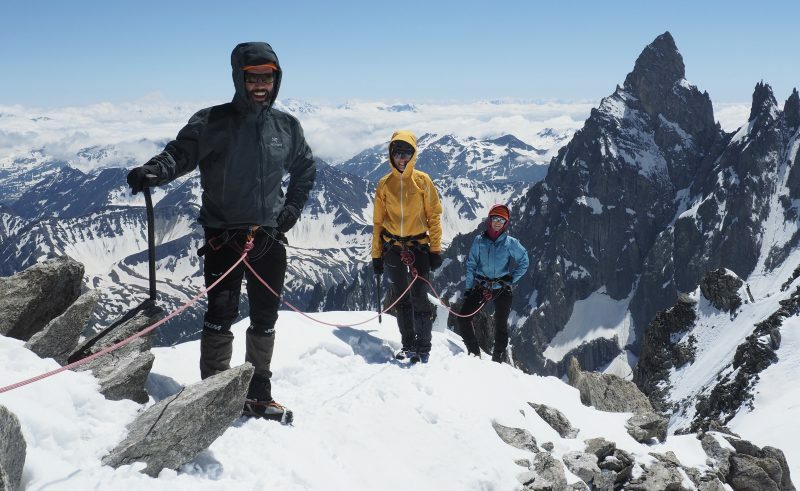 This training course is designed for those who are new to alpine mountaineering and want to either develop their skills to become independent alpine climbers or complete further climbs with a Guide. 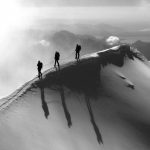 It would also be suitable for folk wishing to climb Mont Blanc after the course or with future plans for introductory expeditions in other high mountain ranges around the world. 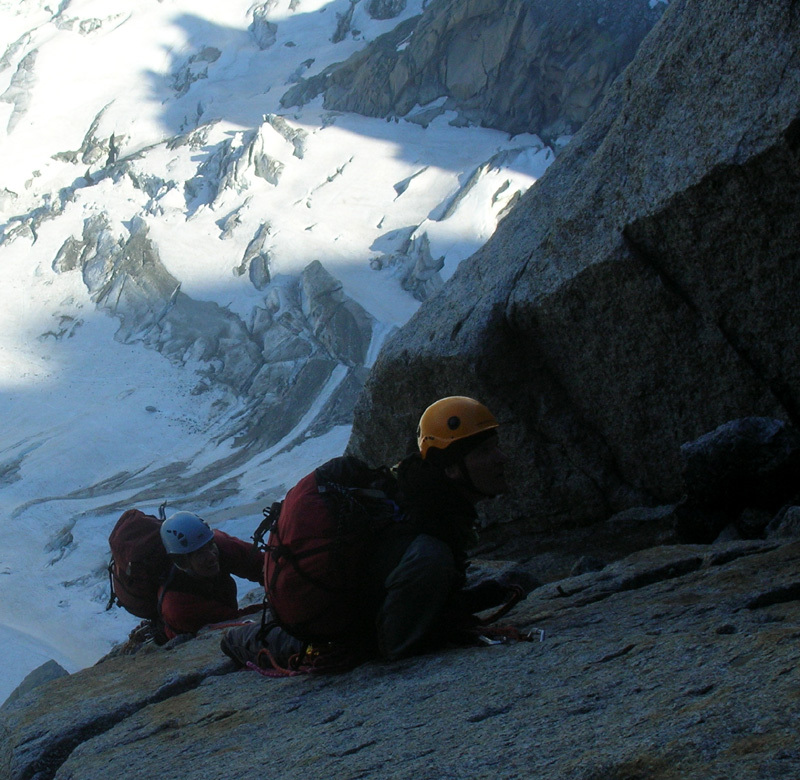 In 2019 we also have a Chamonix Alpine Intro+ Course running with the plus indicating a slightly more technical itinerary for those with a little more experience and wanting to progress to more alpine scrambling terrain. 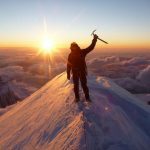 Which those experienced in smaller and non-glaciated hills may not be familiar with…These four themes will drive the content of the training throughout the week. 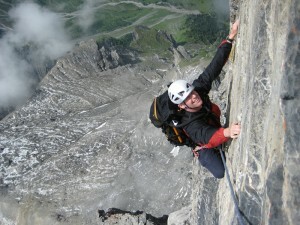 Please note: This itinerary is flexible and may change according to weather, conditions & team fitness & aspirations. 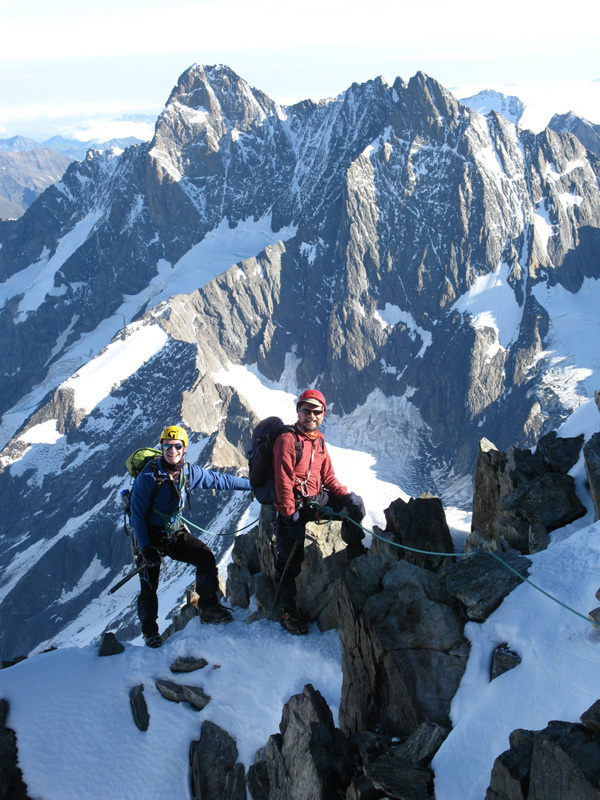 Pre Course – Arrive in Chamonix & check in to accommodation. 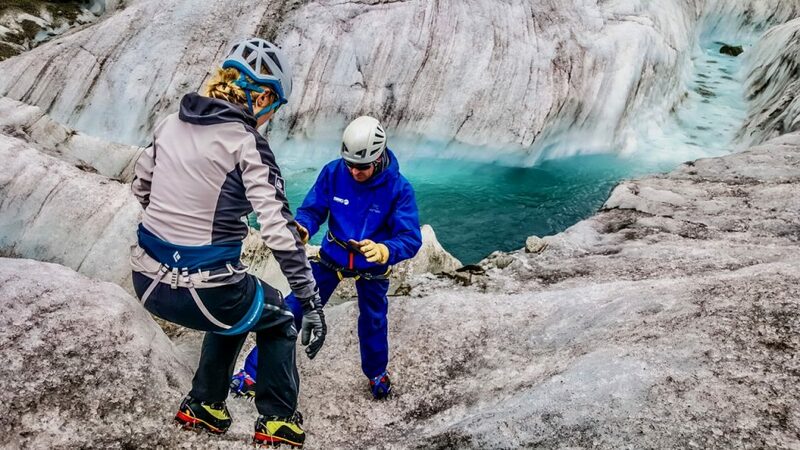 Arrange any hire equipment. 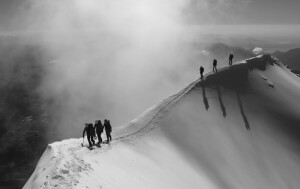 Initial, warm up mountain walking / acclimatisation if possible but not essential. Day 1 – Course Intro & final equipment checks followed by an ascent to the famous ‘Mer de Glace’, France’s largest Glacier, accessed via the historic Montenvers mountain railway. 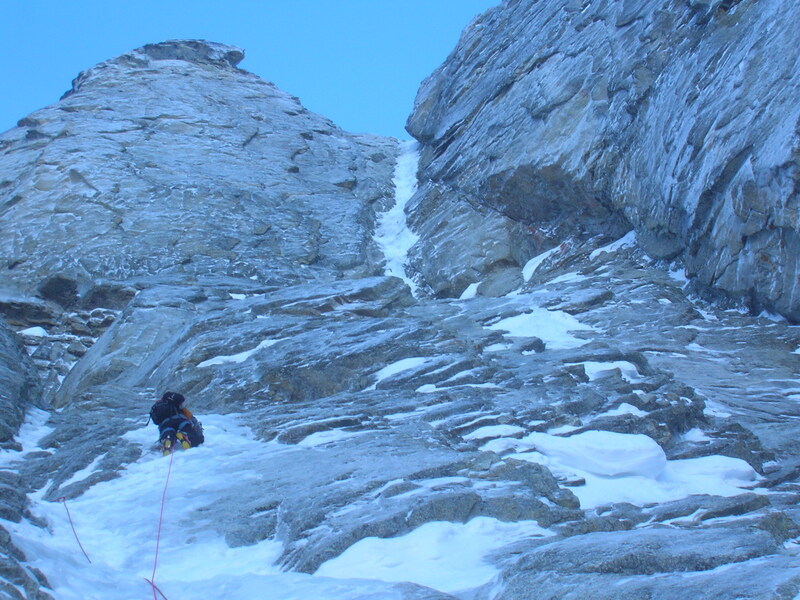 This is a great place to offer training in the essential mountaineering skills of tying in to the rope, moving together as an alpine team on both rocky & glacial terrain and, crucially, training good crampon & ice-axe techniques. There should also be the opportunity to try some steeper ice climbing. Day 2 – Drive through the Mont Blanc tunnel to the upper Val d’Aosta and ascend the superb Skyway Monte Bianco lift to access Punta Hellbronner and the high snowy glaciers of the Italian side of Monte Bianco. 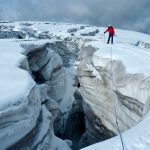 Enjoy a glacier journey, climb a 3500m peak via a mixed rocky scramble and practise glacier travel & crevasse rescue techniques. 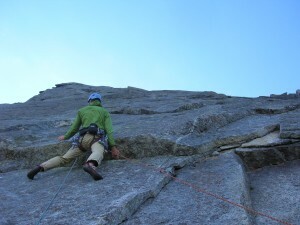 Day 3 – An enjoyable intro to alpine rock climbing & general climbing ropework techniques. 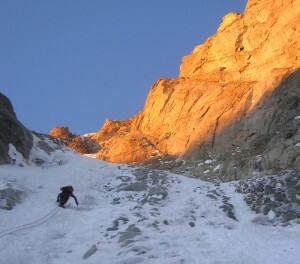 This is a lower altitude day with no crampons & ice axes. A more relaxing walk in trainers gives us access to some of the fine lower altitude and valley crags around the Mt Blanc Range. 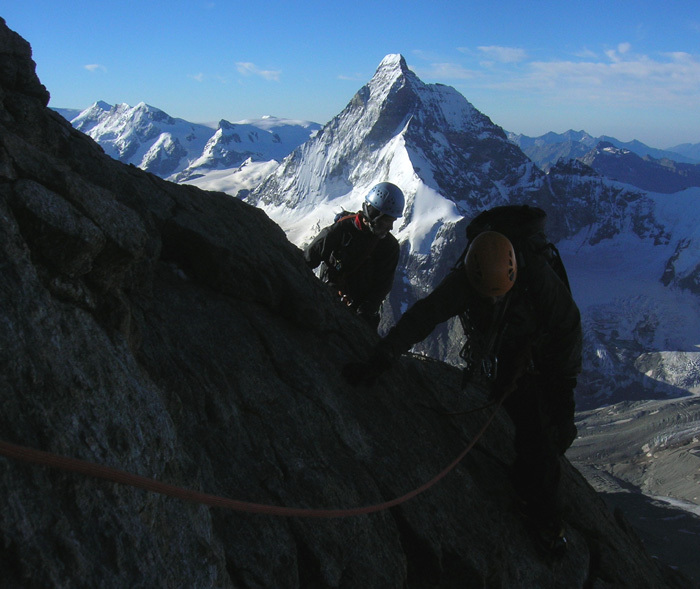 Here we can enjoy some single pitch rock climbing, abseiling & general rope work training as well as an alpine ice cream and briefing for the final hut & expedition phase. 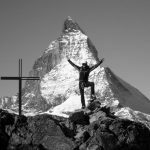 Days 4 & 5 – Classic Swiss Alpine Expedition! After our 3 initial days training it’s time to embark on climbing a big peak with an overnight stay at a lovely Swiss mountain hut. 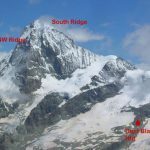 After a quality Swiss café and any final shopping in the high alpine village of Arolla we enjoy the long & scenic ascent to the Dix Hut (2928m). En route, some further scrambling / rock climbing can be enjoyed around the crossing of the Pas de Chevre. 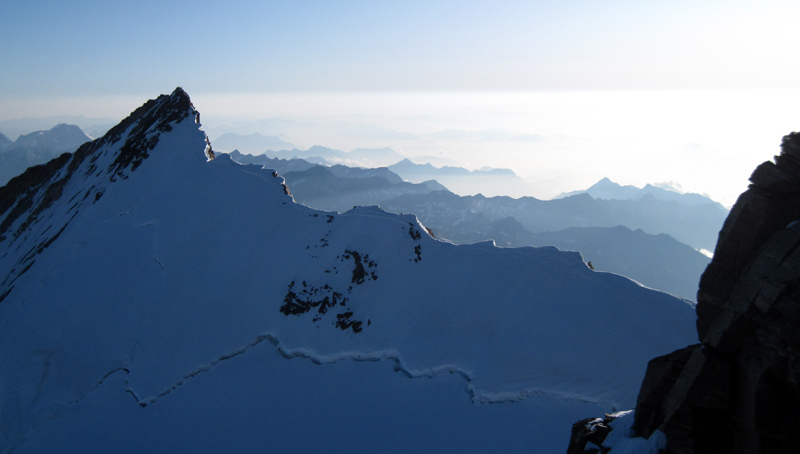 The hut is a hospitable place to stay, enjoy a hearty dinner and be well placed for a pre-dawn alpine start the next morning. 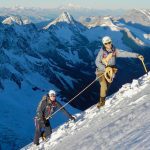 The glacial & snowy high mountain traverse of the Pigne d’Arolla (3790m) gives a superb alpine journey with stunning views of the Matterhorn & many other high peaks of the Swiss, French & Italian Alps. 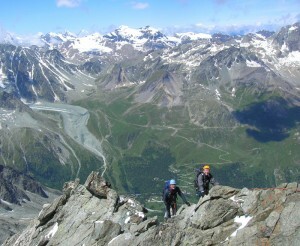 We return to Arolla for lunch & on to Chamonix by late afternoon to relax & celebrate the action packed week. The Intro+ title refers to this course being run at a guiding ratio of 1:3 instead of our classic Intro course which is 1:4. 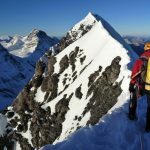 This allows for slightly more technical terrain to be undertaken and overall for a better progression for those who have already done a little mountaineering and are looking to build skills and enjoy some more high alpine scrambling terrain. After completing & enjoying our Intro Alpine Course there are many appealing options available. 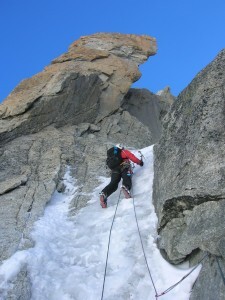 A fine alpine progression would be to Climb the Gran Paradiso and then the Weissmies. 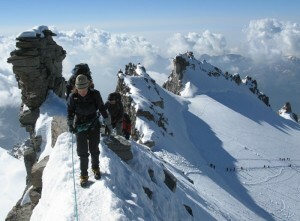 These enjoyable and contrasting Italian & Swiss 4000m peaks would set you up well for Climbing Mont Blanc. After that our series of Chamonix mountaineering courses forms a logical progression in the following order; ‘Becoming an Alpinist’ followed by Chamonix Alpinist & then Chamonix private guiding for harder / longer routes & north faces as well as our Climb the Eiger & Matterhorn courses. An alpine mountaineering equipment list is given here. 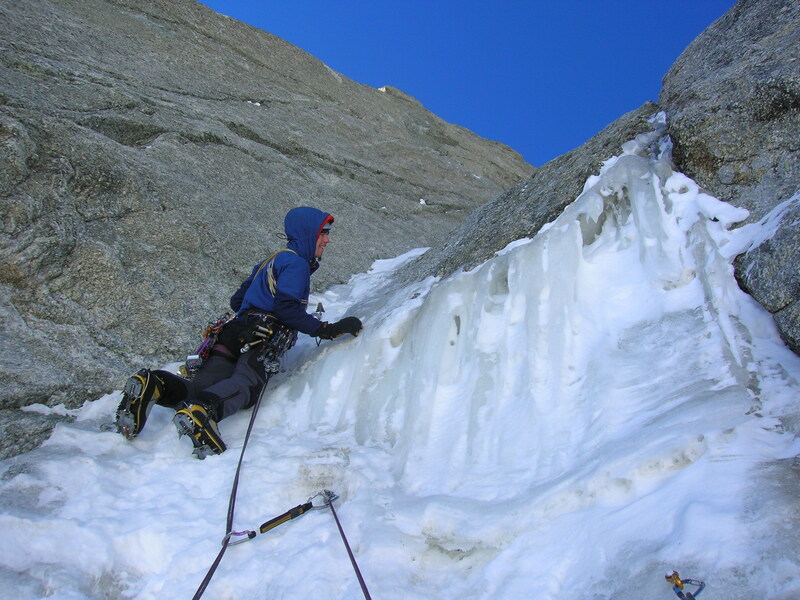 In addition to good quality warm hill walking gear you will need technical equipment like; alpine mountaineering boots, crampons, ice-axe, harness and helmet. 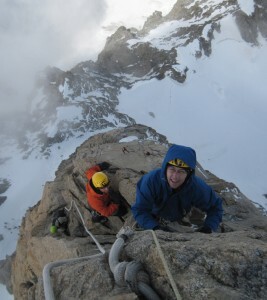 All this gear can be easily hired from us or in Chamonix. Check our Chamonix mountaineering equipment hire section. 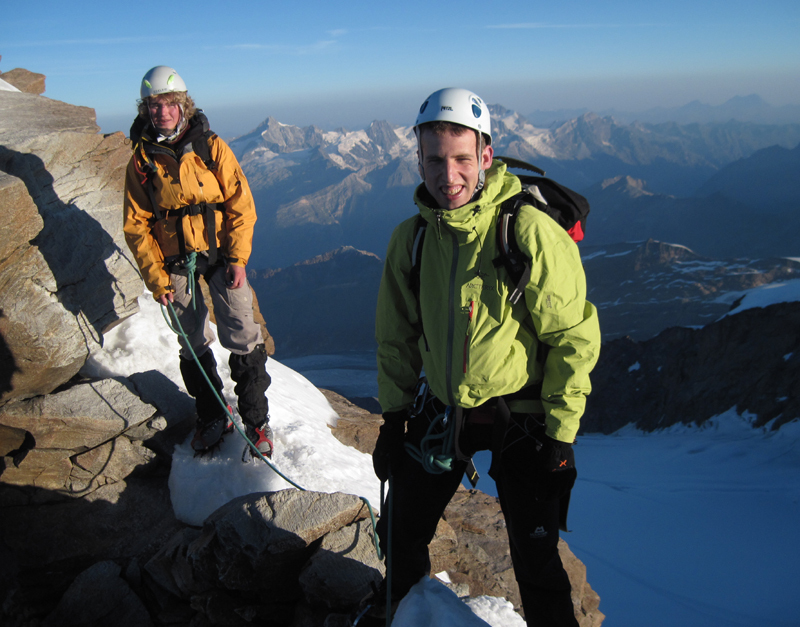 Our intro alpine courses are open to all individuals & small groups who meet the course pre-requirements. 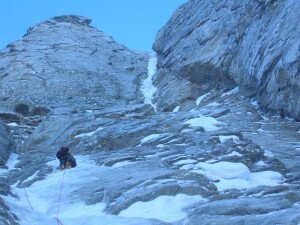 They include 5 full climbing / guided days on the dates given below. 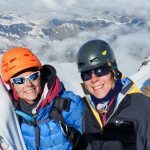 If you have a private team and would like to arrange your own dates then please get in touch to discuss arranging your own programme. 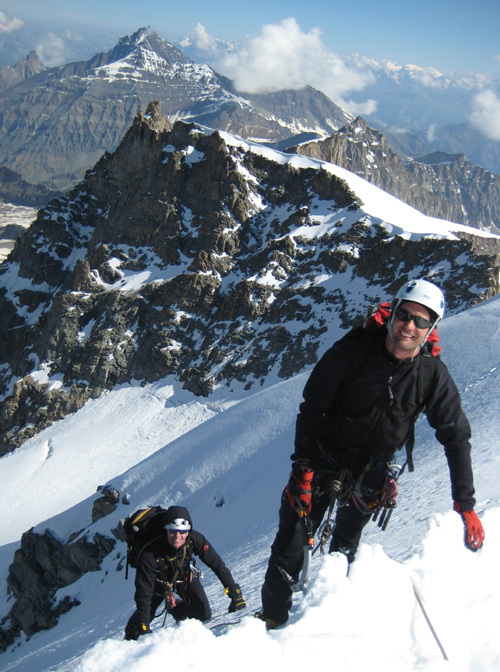 Our Alpine Intro courses are often scheduled just before Gran Paradiso, Weissmeis & Mont Blanc courses, so that you can continue your progression and attempt a bigger peak with your hard won acclimatisation after the intro course. 2019 Alpine Intro Price – £895…until the end of November 2018, so book your place now! Maximum Ratio of 1 Guide To 4 Guests. 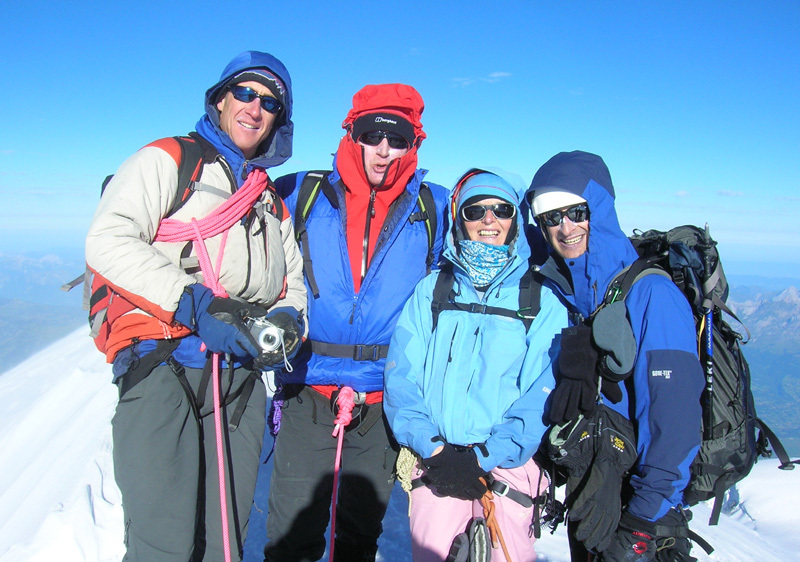 Maximum Ratio of 1 Guide To 3 Guests. What’s not Included & Other Additional Expenses? 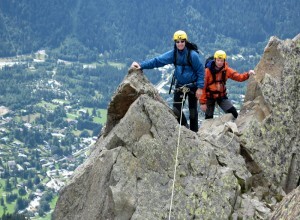 Mountain Lifts: Day 1, Montenvers return C. 30 euros. Day 2, Hellbronner C. 40 euros. 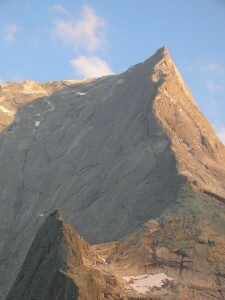 Mountain Hut for you and the Guide. Allow about 75 euros per night for dinner, bed & breakfast and your part share in the same for the Guide (at a heavily reduced rate). The best way to deal with these expenses is to make a communal group ‘kitty’ which you contribute to and all expenses are paid out of. Kate and I are now back in Ireland. 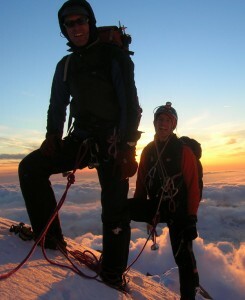 I just want to thank you and especially Phil for the wonderful experience that we had. I for one will definitely cherish the experience. 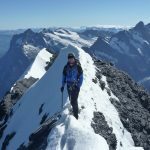 I learned and took a lot from the alpine intro course. We are now ready to face new challenges and climb more mountains. We will see you next year to join another course that will guarantee us of our independence in the mountain. 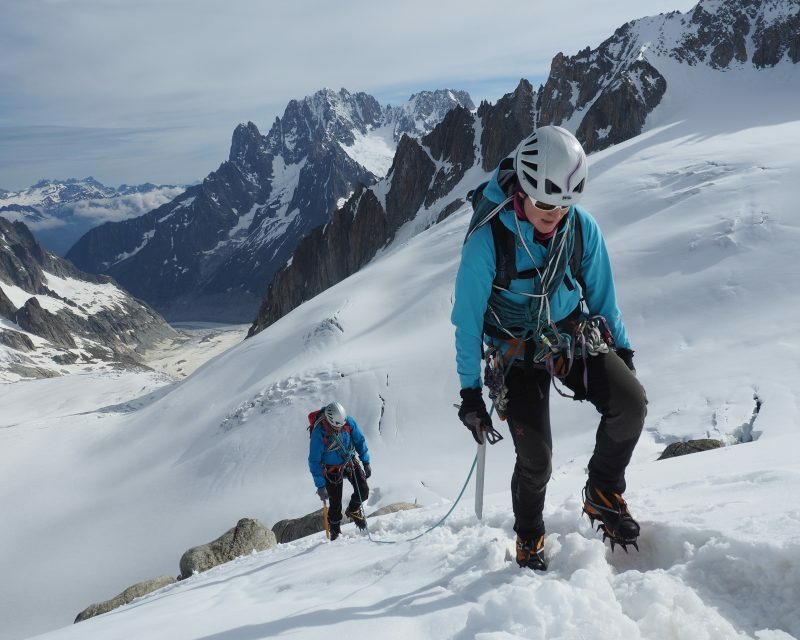 In addition to our full 5 day classic alpine intro week as described above, we also offer 2-3 day Chamonix based alpine intro courses. 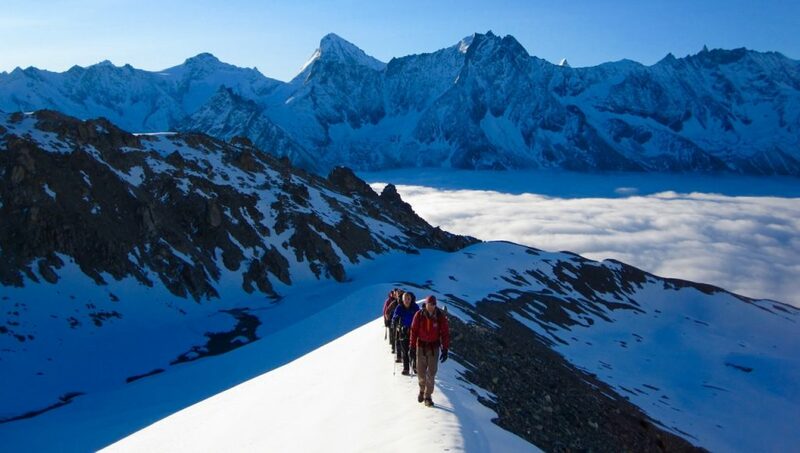 These include an 0830 meeting with the team & guide on day 1 followed by an alpine hut walk and then mountaineering & glacier travel training on a glacier near the hut. This is a great way to get some quality training, start acclimatising for your trip or just brush up on rusty mountaineering skills. 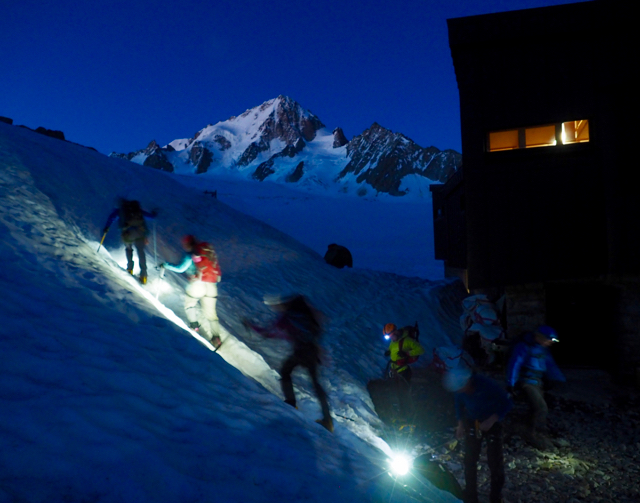 After an atmospheric evening & night in the mountain hut (usually the Albert Premier Hut at the eastern end of the Mont Blanc Range) the team takes a pre-dawn breakfast and alpine start across the glacier with the aim of climbing one of the celebrated intro 3500m peaks on the French / Swiss Alpine border. 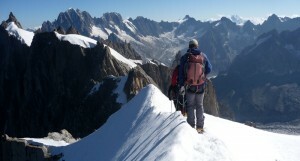 This is a great journey and fine acclimatisation for forthcoming alpine projects. 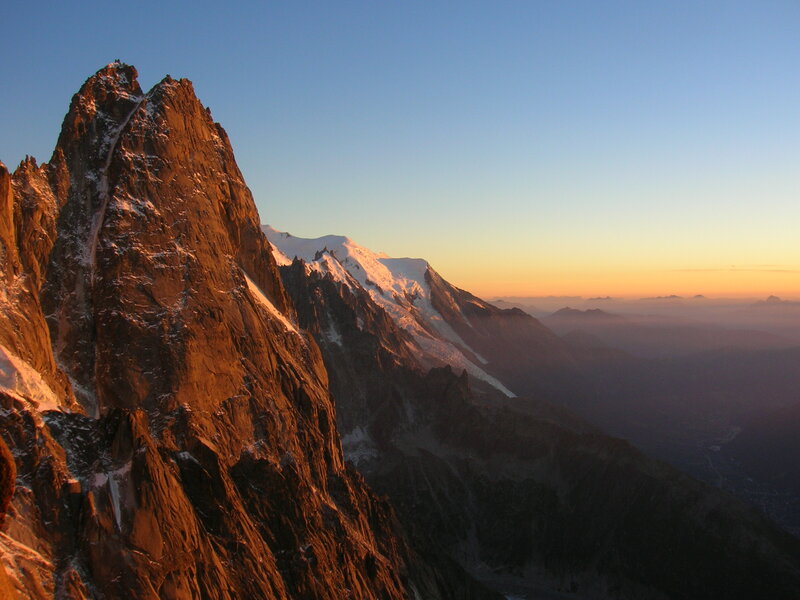 Our 2 day programme descends back to the hut and to finish down in the Chamonix Valley that afternoon whilst the 3 day programme continues from the peak over to another hut (usually the Trient Hut, 3170m on the Swiss side of the Trient Glacial plateau). 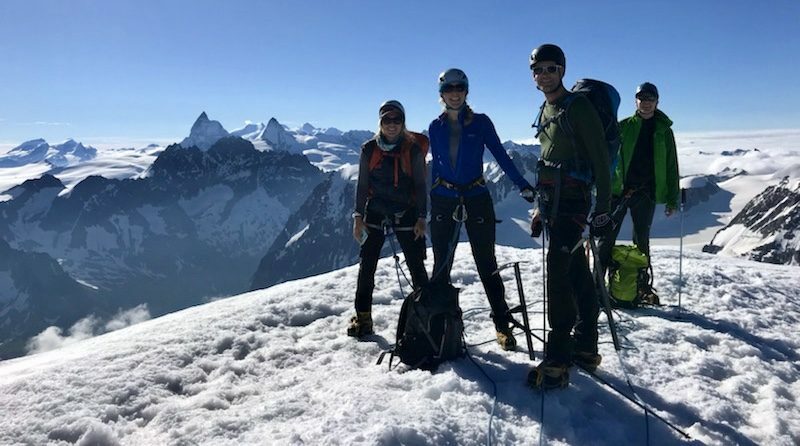 Here a classic hearty Swiss Rösti can be enjoyed for lunch before an afternoon scramble (or siesta) and another night in the hut, this time above 3000m. 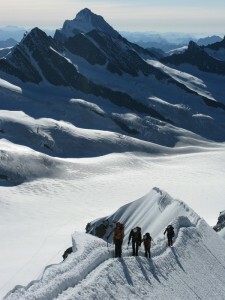 The final day of the 3 day programme traverses the Trient Glacier and climbs another one of the 3500m peaks on the Swiss / French border like the Aiguille du Tour, Tete Blanche or Petite Fourche, before descending back across the French Tour Glacier, past the Albert Premier Hut and back down to finish in the Chamonix Valley after a rewarding 3 days in the high mountains. 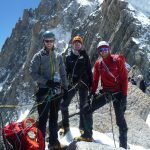 The course pre-requirements & kit list are the same as for our classic 5 day alpine course as per the descriptions above.